It’s hard to imagine what it’s like to be evicted, perhaps because the impacts of evictions are so wide-ranging. 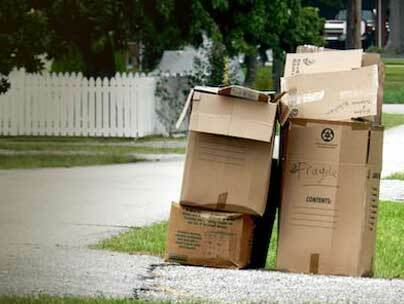 Household items are put on the curb and lost if the evictee can’t afford a storage unit. Having an eviction on one’s record makes it harder to rent a decent place to live. Constant movement to different housing leads to children falling behind in school, jobs lost, mail and benefits misdirected, and community bonds being broken. Research has also found that evictions can even lead to depression and suicide. While it may be difficult to put yourself in such shoes, Evicted: Poverty and Profit in The American City (Penguin Random House, 2016) makes it easier. Author Matthew Desmond, a Harvard sociologist, followed eight families in Milwaukee and their struggles to find and remain in decent affordable, private housing. The author—whose family was evicted from their home in Arizona during his childhood, giving him first-hand knowledge of this problem—immersed himself in the world of the urban poor in 2008 and 2009, living in a trailer park, and then in a rooming house in one of the poor urban areas of Milwaukee. He also shadowed the landlord of the trailer park and an inner-city landlord. At the start of his journey, Desmond clearly identified himself as an author and let his subjects know that he was writing a book about them. The subjects of the Pulitzer-prize winning Evicted have many obstacles to overcome—poor housing stock, a high percentage of their low income going to rent, hardened landlords, family issues. But Desmond shows how multiple evictions and moving into ever worsening housing in more dangerous neighborhoods compounds these already serious issues. Over the course of his research, Desmond became close to the book’s subjects. He helped them move, went to church with them, slept at their houses, babysat their children, and accompanied them to eviction court. What happens after an eviction? Former tenants may become homeless; move to a shelter; live with friends, relatives or strangers; or move to less costly housing. In Milwaukee, the government housing assistance list has been frozen at 3,500 names for four years, leaving many still waiting for help. But even this meager chance at assistance isn’t available to many of the subjects of Desmond’s book because of their eviction records. To supplement the personal narratives, Desmond conducted the Milwaukee Area Renters Study on evictions and housing to get hard data on renters. His research found that one in eight renters went through at least one forced move in the two years prior to the survey date. The Milwaukee Eviction Court Study, also created by the author, provided a snapshot of the court’s evicted population. Desmond found that having children in the household almost tripled the odds that a tenant would receive an eviction judgment. Desmond’s epilogue traces how America has dealt with low-income housing and offers ideas for how to stem the tide of evictions. He demonstrates how tenements and slums gave way to high-rise public housing projects in the middle of the last century. Over time, these projects deteriorated and were torn down. From this failure, the federally funded Housing Choice Voucher Program was created. This program provides housing subsidies for the private rental market. However, 67 percent of poor renters in the United States did not receive housing assistance in 2013. Besides providing publicly funded legal services, the author proposes making the Housing Choice voucher program a universal entitlement for all low-income households who qualify. This expansion of the Housing Choice voucher program calls for families below a certain income level to receive a voucher to live at any location, as long as the housing was not too expensive or in bad shape. The family would provide 30 percent of their income to cover housing costs and the voucher would cover the rest. The impact of this housing program would ripple out through the family—fewer evictions, increased income to buy healthy foods and provide educational materials for children, job training, and the ability to save. This universal entitlement may or may not come in to being, this could certainly bring improvement to poor families. Facts, figures, and proposed solutions aside though, seeing eviction through the eyes of those who have experienced it is an invaluable benefit to any reader of this book. Real estate pros who read this book will discover the scope of the eviction problem, both in Milwaukee and the United States. Also, Desmond recently launched a website to share the findings of his Eviction Lab, a project out of Princeton University that compiles millions of records to provide a better understanding of the impact that the eviction crisis has on local communities. Use the lab’s search, maps, and rankings to see how your area fares.